The tech section of The Wall Street Journal has a review from a user who is in a love-hate relationship with her Dell Mini Inspiron 10 netbook. Her problem is that she bought a Dell. 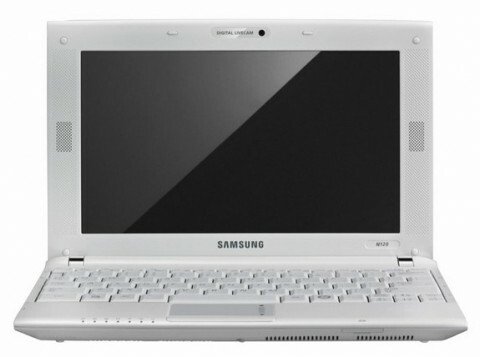 I totally love my Samsung N120 netbook. Besides the usual dangers of buying from Dell, it is well worth paying a little more for the advantages of the Samsung netbook. A netbook will not replace my IBM notebook but often the small size makes it far more convenient to use. A netbook cannot do everything a quality notebook will do. For example, I can’t do video editing on the netbook as there is no firewire input. Some of the notebooks at my home have firewire and some do not, but I have a PCMCIA card to provide firewire to those which lack it. The netbook doesn’t have a PCMCIA slot either. Nor does it have a parallel or serial port, or even a built in DVD writer. Fortunately I got mine with a deal which included a free external DVD writer, but actually I rarely even use it now that most software is sold by downloading as opposed to physical copies. It does include three USB ports, a memory card reader, WiFi, and Bluetooth. I wouldn’t try to do heavy duty work when I have several windows open or need to see a lot on the screen, but for what they are designed to do the netbook works great. When traveling it handles everything I need on the road, along with being much smaller and lighter. The small size makes it much easier to use on an airplane. Generally I don’t even try to pull out my large notebook while flying. I also feel better about risking wear and tear on an inexpensive netbook while traveling as opposed to a notebook which costs several times as much. The Samsung models cost about a $100 more than the cheaper ones out there but it is well worth it. While you have to struggle with some netbook keyboards, the Samsung has a keyboard that is 97% of a full keyboard and I don’t mind using it at all. Another advantage of the Samsung is battery life. My battery seems to last about six hours without resorting to drastic battery saving. I can’t say for sure because it has never out on me–which I cannot say about my notebook. I figure that having to carry around a power cord defeats the purpose of a small netbook. It is even nice around the house to be able to quickly pick it up, restore from hibernation to Windows, and get on line. In this day and age a netbook serves the old functions of picking up a newspaper or magazine. On the weekends I put the netbook on my nightstand, allowing me to check email and the morning newspaper before even getting out of bed. I also frequently do this with my Palm but the netbook is far superior. My N120 doesn’t even set the record for batter life. It came down to a choice between this model and one with a longer batter life. I went with the N120 due to better sound. I figured that its battery life is good enough, but the sound comes in handy while traveling should we want to watch movies or television shows without ear phones. The 160 GB hard drive leaves plenty of room for lots of DivX and MKV video files. I also pick up my home television which is connected to a Slingbox (another “essential” gadget). The one downside is the screen but this is an obvious cost of a small sized computer. The resolution is only 1024 x 600, and there is a program included to stretch it out to 1024 x 768 when necessary. This hardly competes with my notebook’s 1600 x 1200, but the point is to add on a netbook for when a small computer is sufficient, not to try to replace other computers. From all the reviews I’ve read the Samsung sounded like the best, making it well worth spending an extra $100 with Asus also producing ones which sound almost as good. But buying a Dell, as the reviewer at The Wall Street Journal did, and I’m not surprised that she felt a combination of love and hate. Medicare Advantage programs receive 13% to 19% more to take care of Medicare patients than is paid through the government program. I just had a patient come in saying that their Medicare Advantage plan will stop operating as of January as they no longer find it profitable despite these higher payments. There was also another plan which I had patients in which stopped operating as of January of this year. I’m glad to hear that they are going away as a few times they have refused to pay for lab tests which were needed, and which Medicare would pay for. Most likely their denials were motivated purely by financial considerations as opposed to medical need. So much for the greater efficiency of the free market, alon g with the idea that it is government, and not private plans, which “ration” health care.